The very popular man "Digong" of the Davao City is the 'talk of the town' not only in real city but also in the cyber city. Rodrigo "Rody" Roa Duterte has so many volunteered supporters through local and abroad. That's why Mayor Duterte has also many haters and detractors specially from his opponents for 2016 race. We want to share this reaction letter posted by a netizen under nicknamed 'Rakma-Balao' on the X.Rappler site on Tuesday, January 12, he writes about Mayor Duterte's words and values. A man of his words? Is there any morals in his values..
Last January 7, in Cebu city the platforms of Duterte and Cayetano unveiled through trimedia in Cebu City. Highlights of this was crime and economy. 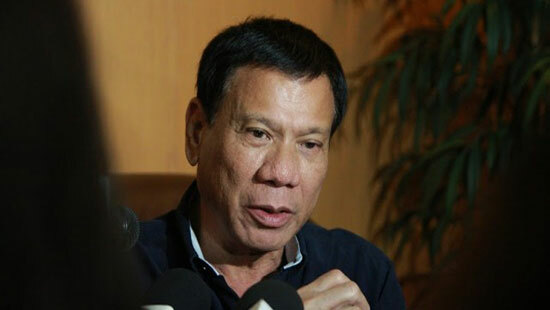 Duterte has gained popularity among Filipino electorate who believe that his iron-fist style of leadership would be the best way of reforming the country. He earned the moniker of "The Punisher" for his rigid stand against lawlessness. The Duo promise to achieve a peace and order in 3 to 6 montth period only. Both Duterte and Cayetano believed that they can achieve a peaceful environment after 6 month? Expectation versus reality? Is this propaganda doable? Can he really delivers or I mean can we rely to his words? How on earth can he accomplish this? Many Filipinos are frustrated enough to believe his promises. How can we do this without extra judicial killings? Looking back in 2015 like in a CEO forum in Davao he strongly denied and said he is not running. One his reasons were time or lack of time and even mentioned he had a four wives at night so he can't perform as president and he is already 70 year old. Also his timing to be president is past due and his chances of winning is very little. So, if he will be president he will not finish his term and he will resign. Suddenly all of this has forgotten when finally he declared he is running as a sub to Martin Dino. Now, spotlight was focused on him. Many words come out in his big bad mouth. "Judge me by my values, not my cursing". After a while he retracted his words against killings and become a little bit calm and composed after many controversies about his morality. The question is what kind of values is that? Or is there any values in his actions? He is a self confess womanizer, openly said he killed people and will kill without remorse. Not to mention his uncensored mouth that full of cursing publicly. Then suddenly his strategies change after he got his tandem Cayetano, and so the campaign game begins.. and so the promises and lies..
What do you think about her story? Share your thoughts below. Comments or suggestions about "Netizen to Duterte: 'A man of his words?'" is important to us, you may share it by using the comment box below.